Festivalisation: The Future of Association Events is Bright! Associations were once the exclusive provider of content, offering unique services and networking opportunities to their communities. But times have changed! Associations are now adapting and rethinking their value proposition to differentiate themselves from an extremely competitive environment. At the same time association audiences are changing. Members’ needs and expectations are shifting, whilst event participants’ profiles are also changing. Association audiences are getting younger, and are technology-enabled with access to information and networking from their device at any time. They no longer have to wait for the annual event to connect with their peers, learn, exchange or even get their certification. Like for most organizations, membership-driven associations have difficulties in embracing change. It is easier and more comfortable to stay with the ‘tried and tested’ event approach than trying something new. But relying on the traditional and familiar approaches will not be sufficient to fulfill these changing and more demanding audiences. To attract a wider multigenerational audience, association events must offer even more relevancy, content value, innovation and quality of the experience. Associations leaders must rethink their models to create event strategies that generate disrupted expectations through constant provocations. These initiatives will help boost engagement and create a social buzz for the organization’s brand. Festivalization of meetings is a convergence of live user experiences and human-machine interfaces. In the last few years the trend has increased significantly; and associations are starting to see it as way to better engage their communities. 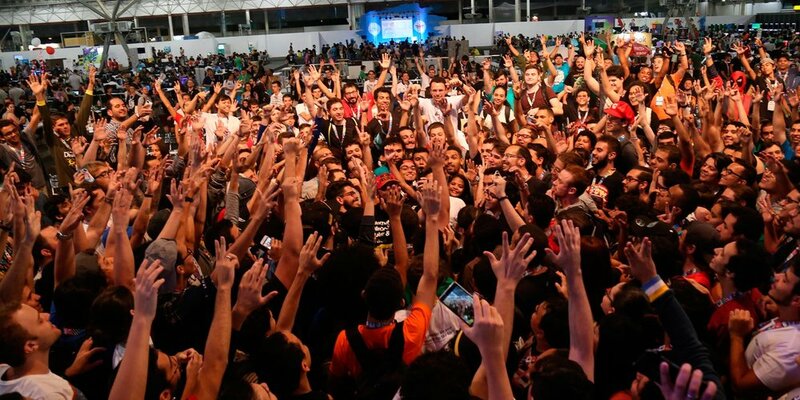 With an average of 82,000+ ‘campuseros’ in attendance, Campus Party is the largest global technology festival encompassing innovation, creativity, science, digital entertainment and entrepreneurship. Using a combination of online and offline experiences including hackathons, augmented reality, AI, Machine Learning, blockchain, cyborgs, as well as live music performances and exhibition, the event is successfully blending experiences that speak to all generations and create spontaneous interactions between participants in unprecedent ways. 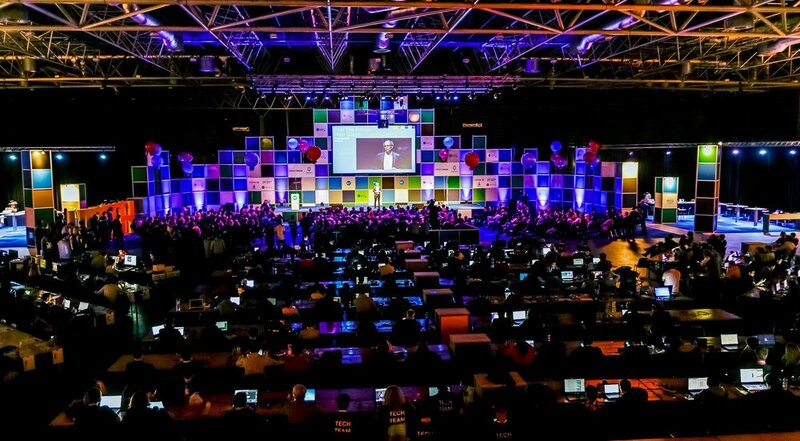 With seventy-five editions worldwide, Campus Party is the largest international experience based on innovation and creativity. It’s the catalyst that brings together courageous businesses, visionary people, close-knit communities, higher education and cutting-edge institutions to make a global community. A CONFERENCE featuring hundreds of the world’s leading experts across sectors. The largest GEEK CAMPOUT in the world, where thousands of “Campuseros” pitch their tents to extend the event well into the night. An non-stop PARTY with games, music and entertainment. A full immersion in fun. A huge interactive EXHIBITION of innovative technology and games. A place for inspiration, sharing, and community-building, where thousands of young people come to learn, work, have fun, and feel right at HOME. The world’s largest OPEN INNOVATION platform: hackathons, challenges, activities for thousands of talented people who want to improve the planet. For more information please visit the Campus Party website. Attendees expectations increase as the time available decreases, and the search for happiness and experience become key drivers. Today’s events that stimulate people’s feelings and emotions, both professional and personal, are the ones that combine the traditional approach, content, exhibition, and connection with unexpected experiences. Festivals are those events that make the live experience more complete. They provoke intentional encounters and help build sustainable, coherent and fair relationships between participants and sponsors. They allow and encourage co-creation between participants and stimulate the emotions of the public at large. Finding a balance between what is perceived to have worked in the past with what needs to change for the future is hard. But if done right, it will boost engagement, drive conversation and create an experience which people will recall and share with others. And without knowing it, they will contribute to spreading the message and influencing others through their own experience. This article is No.37 in a series of expert articles brought to you by INCON. To consult other articles please see our Expert Article archive.